176 pages | 3 B/W Illus. What does it means to have a ‘charism’? How does it work in society? How might one distinguish a ‘charism’ from a talent? Are ‘charism’s given only to "special" people, or are they also present in ordinary people? Is a ‘charism’ necessarily associated with religion, or, is it, as we submit, possible to imagine ‘charisms’ at work within a secular perspective? Which are the principle perspectives of the role of ‘charisms’ in social history? How have the ‘charisms’ of noted personalities (e.g., Benedict, Francis, Gandhi) changed economic and social history? What insights might be drawn from ‘civil charisms’ such as the cooperative movement, non-profit organizations, social economy, and values-based organizations? Luigino Bruni is Associate Professor at the Department of Economics, University of Milan-Bicocca, Italy. 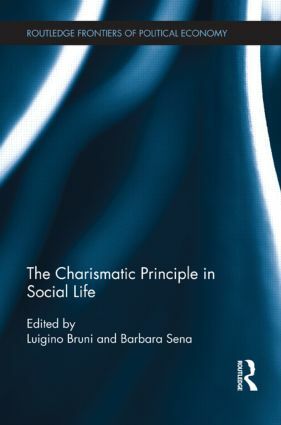 Barbara Sena is based in the Faculty of Social Science – University of St. Thomas in Rome, Italy.